Unlike in years past, the judging for the first round of this year's TOP occurred at the shops and, as a result, was not blind. Pizzas are scored in four categories: crust, sauce, toppings, overall taste. The scores from the judges -- each matchup is scored by a panel of 4 or 5 judges -- are combined and pizzas are scored on a 0-100 scale. 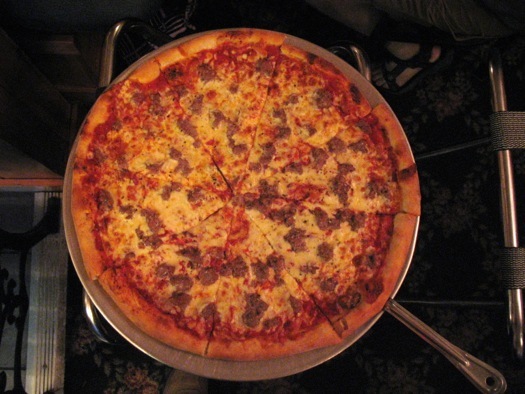 The Niskayuna restaurant's sausage pie didn't light up the judges. 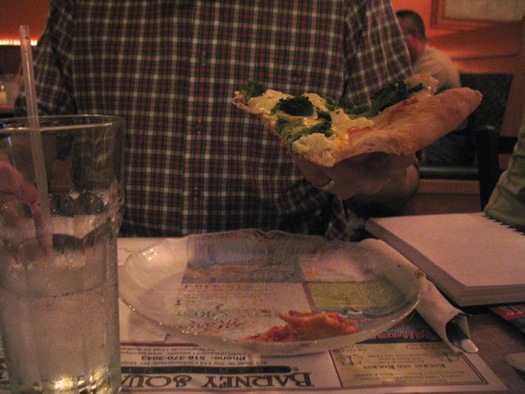 They described its crust as "gummy," "soggy," and "chewy, not in a good way." One judge noted some nice crust bubbles, though. 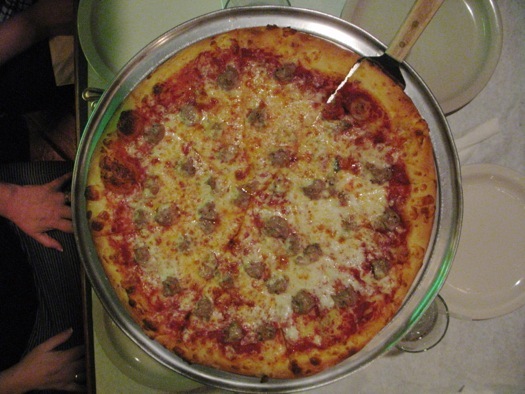 The sausage pizza's sauce register as OK -- one judge remarked it had a "concentrated," "good flavor" and another noted it was the best part of the pie. The judges agreed the cheese was pretty good, but the sausage didn't go over all that well -- multiple tasters noted it lacked seasoning and was a bit chewy. Marino's turned out a very solid sausage pizza. Judges noted the crust had a nice crispness to it, though some would have liked to have seen a bit more lift. They appreciated the "judicious" application of the sauce, but a few also noted a slight "metallic" taste. And they really liked the toppings -- "juicy," "well-browned," "mild, fennel-sweet" sausage and "good" cheese with "a nice amount of salt." Said one judge of the pie: "a very satisfying slice with good sausage flavor." 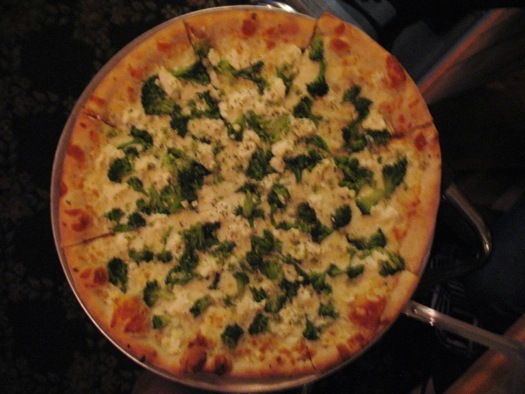 As with the sausage pizza, Mario's broccoli ricotta white pizza just didn't get the judges all that enthused. They weren't fans of the granulated garlic on the crust. And a few thought the ricotta was too wet. 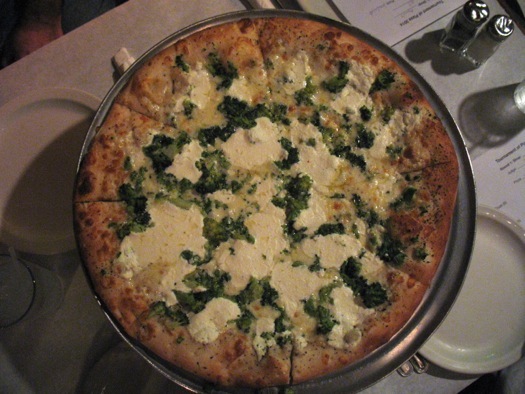 Summarized one judge, "I love the idea of a heavy ricotta white pizza, but it doesn't quite work with the crust." Here's where Marino's blew the roof off -- and it did so with a variety of pizza that's proven to be a curveball for so many shops. Judges praised the "airy and light" crust that "keeps structural integrity." One noted a "great aroma of garlic." They raved about the toppings, which one judge called "perfect" -- "ricotta is so good" with its "milky sweetness"; "broccoli has great crunch!" and "good color." Summarized one judge, "Probably about as good as broccoli pizza gets." And another: "I hate white pizza, but I'm going to crave this!" 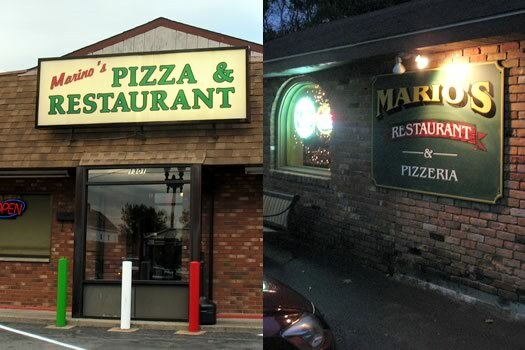 Mario's has done well in its many TOP appearances. But this time it was up against a steamroller. Marino's advances to semifinal -- and based on this performance, it's looking like an early favorite to take the whole the tournament. Tomorrow: Defending tournament champ DeFazio's of Troy takes on two-time semifinalist and 4th Street rival I Love. Mario's sausage pizza looked SO GREAT! Wish they delivered to Albany! Now , i will have to make my home made sauce for dinner. Gosh AOA , reading Mary's & Gregg's wonderful food stories has put weight on me. Marino's has the best pizza in the Capital Region without a doubt!! !